For the time being the site has not a great wisibility on the web as it isn't yet indexed by research engines and most of its traffic comes from the website hosting ASCAS. Nevetherless, after one month, we have collected a reasonable number of memberships throughout the world. The first list of members is now available (only for members). To improve our visibility on the web the site is now indexed on some webrings and on a pair of directory related to antiques. A further help would be obtained by links added by member's websites (using our logo for a figural link). I've created this logo to mark the pages of our website. I hope it is of your satisfaction. Let me know if you like it (click on image to enlarge). 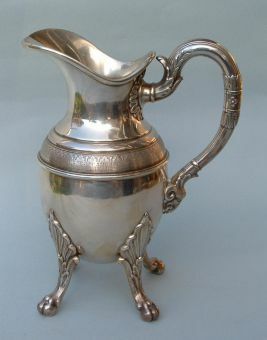 The website has published seven articles related to antique silver. A great contribute was given by Raoul Verbist with its articles on Belgian silver. Unfortunately the articles are written in French and a complete translation to English is a great task for me. I'm available to try a translation but, before publishing, I'd need a revision of the text by a member with a better knowledge of English language. I hope that someone is available to offer its help. Dedications on silver cigarette boxes by Giorgio B. ( click here for a preview). Some articles are in progress by other members and will be published as soon as possible. I renew my invitation to members to show their pieces in this window freely available on the web (obviously without commercial purposes). I believe that our members have unusual items or with an interestig story or of great value. Why not to share their images and descriptions with other members interested to the matter? 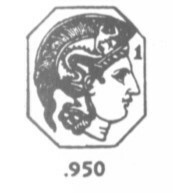 is hallmarked with head of Minerve on the body and "wild boar head" on the handle. 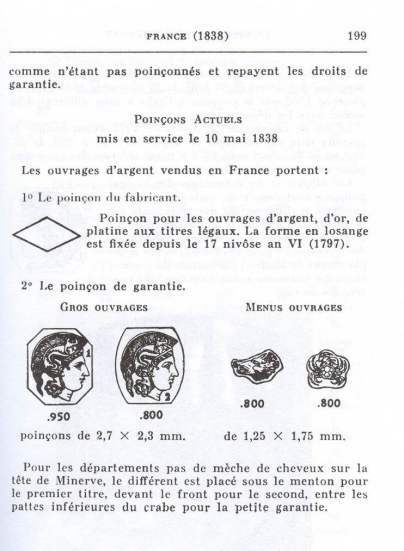 question 1: on Tardy (20th French Edition) these hallmarks are described as purity degree 950/1000 for large pieces (Minerve) and 800/1000 for small pieces (wild boar head). On the book of Old Silver by Seymour B. Wyler "wild boar head" hallmark is described as "Paris; garantie mark; 1838". Who is right? question 2: if Tardy is right, the milk creamer is assembled with pieces of different purity degree (950/1000 and 800/1000). Is this a common practice? There are technical difficulties to assemble pieces of different purity degree? I hope someone may help to solve my dilemma.